Google Results for "Greece wikileaks"
When Google crawls it, the website appears to have all sorts of legitimate and interesting content. 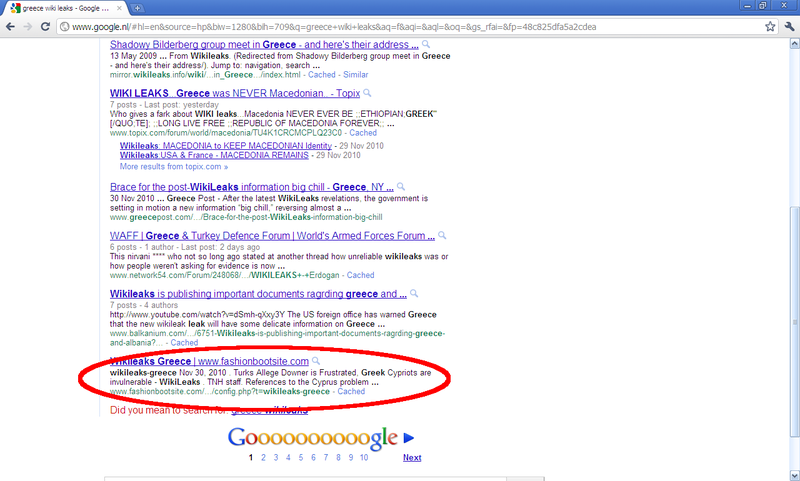 This way, the site is added and will be presented to users who search for that content; in our case wikileaks stories about Greece. When a user who isn’t Google clicks on the link (the page can recognise that using the User-Agent, the IP address or the domain of the user) then the user is redirected to something else. Now, what does this remind you of? Anyone? 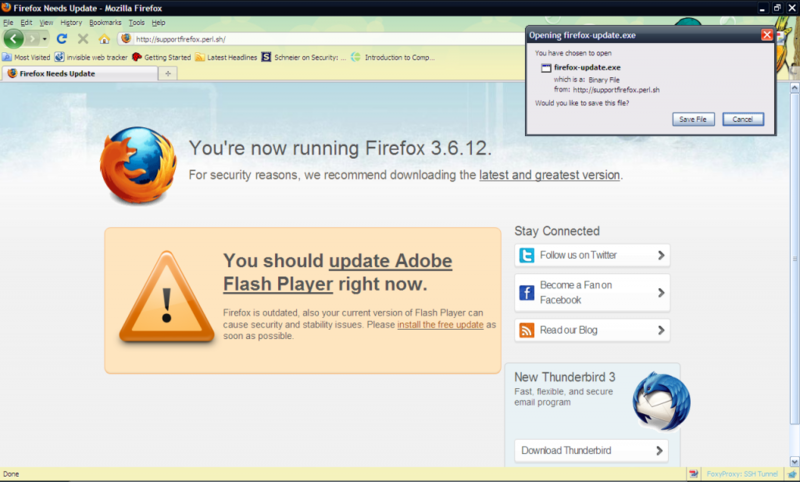 I will gladly tell you… Mozilla Firefox actually used the very same page to “warn” their users when they were using certain versions of Adobe Flash Player that were vulnerable to remote code injection attacks. Now pause and think… Mozilla is training their users to believe what they see in their browsers and take action on it. At the same time, the security community is trying to make people understand that they must NOT trust websites. In parenting this is called “inconsistency”. If you want your child to learn a certain behaviour, e.g., that hitting other children is not allowed, you must always be consistent about it. Whenever he does it, the child must be scolded/punished or else it will be confused and act in random ways. 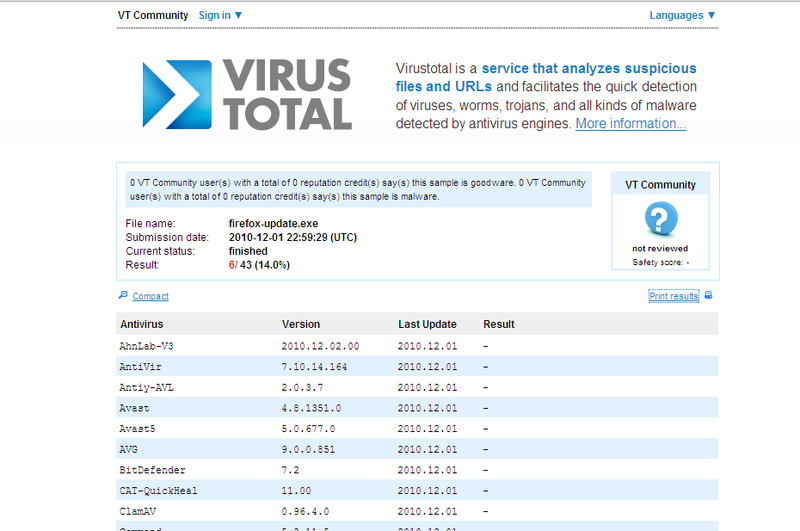 As a closing thought, I want to say that all the things that Antivirus companies say about “pro-active” security is just baloney. 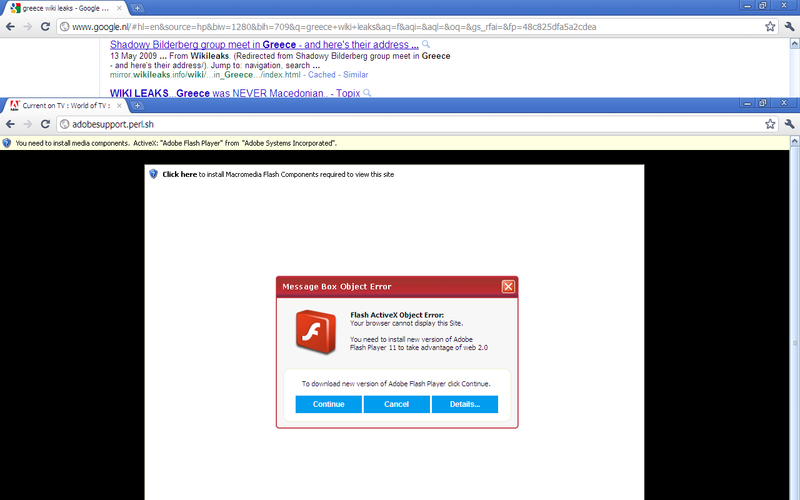 They work with signature matching and that’s that… Anyone interested in how our “firefox-update.exe” scored?